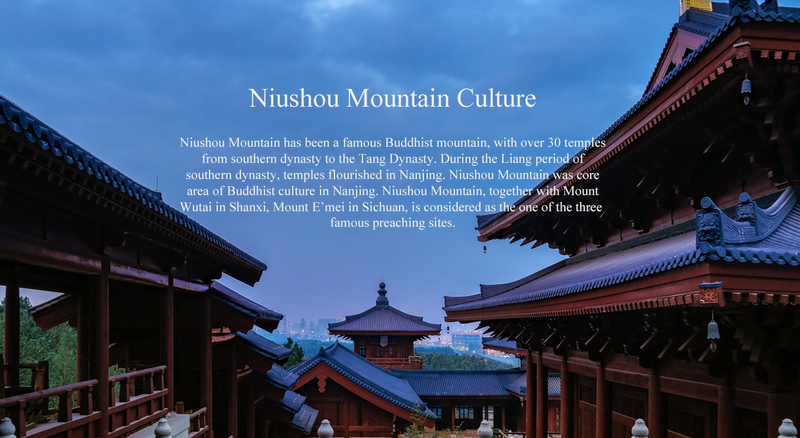 Niushou Mountain is origin of Niuotu Chan Sect in Chinese Zen Buddhism. Buddhism and oher cultures have been melted together here for hundreds of years. The strong Buddhism origin brings honor to the temples and pagodas, and profound and diverse culture highlights mountains and rivers. With “the two peaks are the most suitable heavenly-made gate towers”, Wang Dao of Eastern Jin Dynasty shows benevolence. The emperors of southern Tang Dynasty ran the state based on Confucianism, together with Buddhism and Taoism, which contributed to national stability and freedom. Seven-time navigations of Zheng He represent peak of Chinese navigation and adventure. It helps people make proper use of ocean. Moreover, it presents profound and broad Chinese culture as well as virtue-cultivating core of Confucianism. Beauty of mountains and rivers has been a permanent theme, which contributes to artistic beauty of poetry. In Niushou Mountain, scholars visit sceneries to broaden their horizon, writing numerous poetry here, which becomes essence of literature south of Yangtze River. With various topography and ecological environment, Niushou Mountain abounds in pine, bamboo, plum, tea(Tianque Tea), orchid and chrysanthemum. The ancient tradition of visiting Niushou Mountain in Spring has been rather well-known since the Ming Dynasty.